I read it a while ago, yes, but the book –and the characters- are still fresh in my mind, which is a testament to the world that Rod created and the personalities he’s peopled it with. The Demi-Monde is one of the most interesting non-existent worlds I’ve had the pleasure of losing myself in – it is fully realized, with layers of culture, superstition, history and extreme realism; extreme because of what the Demi-Monde is (which you will understand once you’ve read the novel). I don’t want to spoil it for you, but suffice it to say that as I entered the Demi-Monde –by means of differing POV chapters and excellent intros to every chapter- I got exposed to many different aspects of the world, from its interesting history to its many societal levels to the spiritual beliefs of the characters. The worldbuilding that Rod has done for Winter is incredible – there’s so much that piqued my interest, so much that’s hinted at and not fully explained, as well as plenty that is explained just enough to give the world that feeling of authenticity so that it’s easier for belief to be suspended, that I really did feel suspended somewhere weird and exotic and scary and damned cool. Character-wise, Rod created some very cool, and in some cases, downright scary and loathsome characters; the Demi-Mondians are, like us, colourful and unique – there’s a con artist who preys upon the gullible and rich and hopeless, there’s a spoilt rich kid who has revolutionary ideas that don’t quite prepare her for the changes that come her way, there’s a young woman who is headstrong and desperate and intelligent and stubborn, qualities that propel her through the strange new world she finds herself in; there’s an overweight and decidedly insane club-owner who has fingers in many, many pies, there’s a studiously principled government worker who’s trying to raise a daughter as best he can, there’s a woman so in over her head that she isn’t at all prepared for the situations she finds herself in, and plenty more, including a host of damned evil bastards who chill as well as entertain. All in all, The Demi-Monde: Winter is damned impressive – the world is sprawling, supremely interesting and will probably spawn plenty of lengthy conversations among those who study societies and government systems; the characters are entertaining, interesting and unique, and the plot, though not relentless –which wouldn’t have fit the world or the characters, anyway- moves along at enough pace that it kept me absorbed and curious. 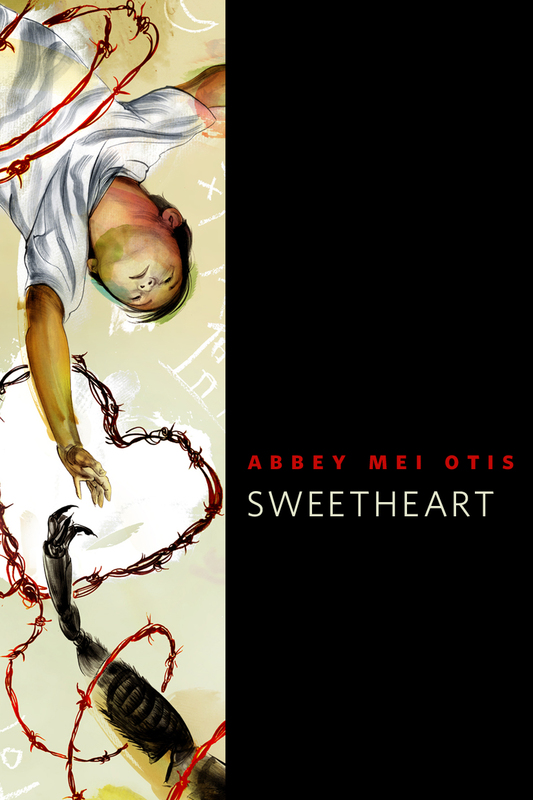 It’s an excellent debut, assured and inventive, and showcases Rod’s amazing imagination and ability to tell a story. Really cool, and highly recommended! Do head over to the excellent Demi-Monde website – it’s awesomely immersive and entertaining, giving you just enough info about the world and some of the characters to really pique your curiosity. Also, check out Rod’s blog – plenty of interesting articles and thoughts which Rod regularly updates. If you want to order the novel, click here for Amazon UK and here for Exclus1ves (South Africa); book two, The Demi-Monde: Spring, will be available next year. 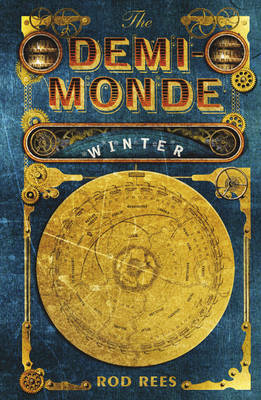 The Demi-Monde: Winter by Rod Rees – On the Shelves! If you haven’t heard of this novel yet, check out the awesome website for The Demi-Monde here, and click here for some more information about Rod. Hopefully you’ll be intrigued enough to want to get your hands on the book – order here for the UK and here for South Africa. Rod was kind enough to send me a copy of the book (signed no less, wOOt! ), and I’ll have a review for you (and for Rod) in a couple of weeks; I wanted to have a review up to coincide with the release but Towers of Midnight is a lonnnng book and working in retail over December kept me insanely busy! Following last week’s deals with Jota in the Czech Republic and Infodar in Bulgaria Flora McMichael, Rights Manager at Quercus, has sold Croatian rights in the four-novel DEMI-MONDE series by UK novelist Rod Rees to Fraktura, after receiving offers from two houses. World rights in Rod’s series were acquired pre-emptively by Quercus (who publish the first volume in January 2011) from agent John Jarrold for a major advance in 2009. Rights have now been sold in eight territories, also including the US, Germany, Russia, Poland and Italy. Seems like Rod is well on the way to taking over Europe! Let’s hope there’ll be more announcements soon. 🙂 Congrats to Rod and all the SFF readers in Croatia! One of the delights of my working life is watching writers like Orson Scott Card create a new world and new characters to populate it. So when I first saw the synopsis for this new series, The Mither Mages, I was thrilled. And as the first of the trilogy, THE LOST GATE, emerged from Card’s mind and word processor, I was enthralled. Card is creating not one magical world for this series, but two – an Earth where the exiles of Westil have lived in isolation for almost 1500 years, and Westil itself, also cut off from the power of the Great Gates, dwindling but holding the memory of a time when greater magic was possible. For this first book, the two worlds remain separate – but there is a promise implicit in the birth or rebirth of a gatemage in each world. It starts small, one boy in the hills of Virginia. It won’t stay that way. Danny North thought he was drekka, a child of the Families of Westil who has no magical talent. Even though he was the son of Odin, the current chief of the North Family, he showed no ability at all – he formed no clant , he worked no stone, he had no affinity for beast or plant. All he could do was run and hide, and try to stay out of the way of his grandfather, who thought that drekka should be culled from the family. But Danny is not drekka. He is something far more dangerous…dangerous to himself, and dangerous to his family. Danny is a gatemage, the forbidden talent. All the Families are sworn to kill any child who proves to be a gatemage, as part of the treaty that ended the wars between them hundreds of years ago. Danny’s discovery of his talent has doomed him to death, more surely than any lack of talent ever could have…. Orson Scott Card needs no introduction . . . One of the true stars of science fiction and fantasy writing, Card is an international bestselling author best known for the beloved classic Ender’s Game, which was widely read by millions of adults and young readers. Card’s work has won multiple awards. His novel Ender’s Game (1985) and its sequel Speaker for the Dead (1986), both won the coveted Hugo and the Nebula Awards—making Card the only author to win both of America’s science fiction’s top prizes in consecutive years. 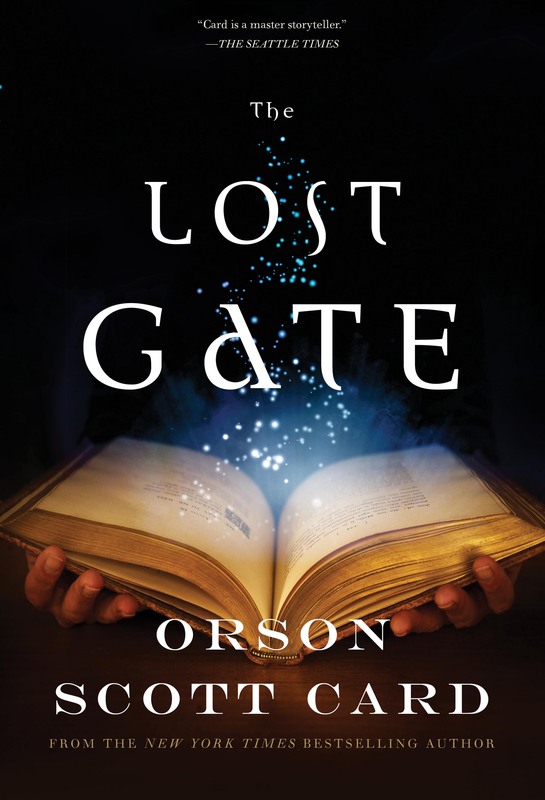 He’s also won four Locus Awards and a Hugo for the short story “Eye for An Eye.” And now the award-winning New York Times bestselling author launches the first book in a new fantasy series with THE LOST GATE (A Tor Hardcover; January 4, 2011; $24.99). All of this is why I’m thrilled to reveal Tor.com’s exclusive first excerpt, along with a note from the editor Beth Meacham, which goes live NOVEMBER 30th at noon! 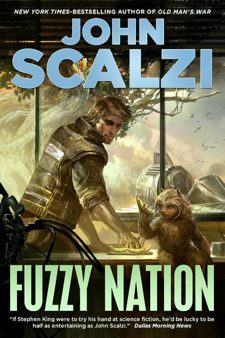 With free registration, Tor.com users will have first access to Chapter 2. 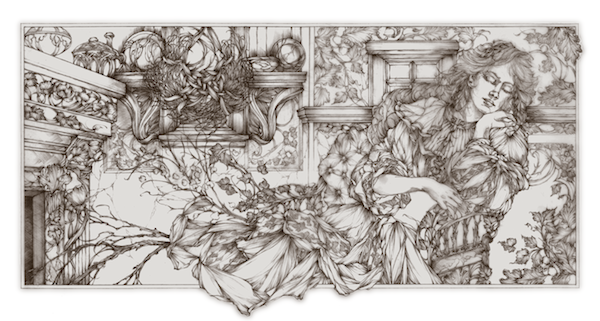 To view this early, special preview of THE LOST GATE, please click on the following link: http://www.tor.com/lostgate/register. There will be lots more to come between now and January 4th – additional excerpts, blog posts, tour dates and other exciting materials – but for now this should whet a few appetites for this amazing original fantasy epic. The novel will be released on the 11th of January and you can pre-order your copies here. Hey everyone, more great news from John Jarrold regarding Rod Rees! Flora McMichael, Rights Manager at Quercus, has sold rights in the four-novel DEMI-MONDE series by UK novelist Rod Rees to Jota in the Czech Republic and Infodar in Bulgaria (the latter via Kalina Stefanova at ELST Agency). World rights in Rod’s series were acquired pre-emptively by Quercus (who publish the first volume in January 2011) from agent John Jarrold for a major advance in 2009. Rights have also been sold in the US, Germany, Russia, Poland and Italy. This is great news! Rod only needs rights for China and India and he’s taken over most of the continent! 🙂 Congrats to all involved! Look out for my review of The Demi-Monde: Winter in time for it’s January release; pre-order your copies here (Hardcover & Trade Paperback). Emma Thawley, Rights Director at Quercus, has sold US rights in two novels by UK novelist Rod Rees – THE DEMI-MONDE: WINTER and THE DEMI-MONDE: SPRING – to Gabe Robinson of HarperCollins, in a significant deal. The books will be published in hardback on the Morrow imprint. World rights in Rod’s series, THE DEMI-MONDE, were acquired pre-emptively by Quercus (who publish the first volume in January 2011) from agent John Jarrold for a major advance in 2009. Hey guys and girls, great news from John Jarrold! Flora McMichael of Quercus’ rights department has sold Russian rights to the first two volumes of Rod Rees’ highly anticipated DEMI-MONDE series to Ripol in a good deal. All four books in the series were acquired by Quercus – who will publish the first volume, THE DEMI-MONDE: WINTER in January 2011 – from agent John Jarrold. Rod commented: ‘This is really very exciting. My wife Nelli is Russian, I lived in Moscow for eight years in the 1990s and our two children were born there so the Rees family has a very strong Russian connection. I suppose that’s why there’s always a flavouring of Russia in all my books and why I’ve made one of the lead characters in The Demi-Monde, Vanka Maykov, Russian. It’s an understatement to say I’m delighted to be joining the Ripol family of authors.